believes any dream can be achieved with faith, right intentions and hard work. Ali’s Lightingale Productions and Yash Raj Films (YRF) have partnered for the international theatrical distribution of the film, which is scheduled to release on July 20, read a statement. “I have always believed that with faith, the right intentions, goodwill and hard work, you can achieve all of your dreams. Today, I feel deeply humbled to have a huge dream fulfilled. To take our cinema global in the best possible manner and to do it with a company that is not just a company but an idea that love transcends all,” said Ali. The Pakistani actor reminisced the time when he first signed up for Mere Brother Ki Dulhania and Kill/Dil. “I have some of my best memories and experiences on those films. I still remember the time when the late Yash ji asked me at lunch one day: ‘Oye to Lahore to ain, yeh kheer zuroor try kareen (you are from Lahore, you must try this kheer (rice pudding)’. I thought to myself that the man who has induced such sweetness in our lives through his stories is making sure that I leave with an even sweeter taste in my mouth. It was surreal,” said Ali. Avtar Panesar, Vice President at International Operations YRF, said that the team at the production house would like to think that YRF is Ali’s home in India. “It was a natural progression, taking that relationship to the next level with Ali as Producer with Teefa In Trouble. 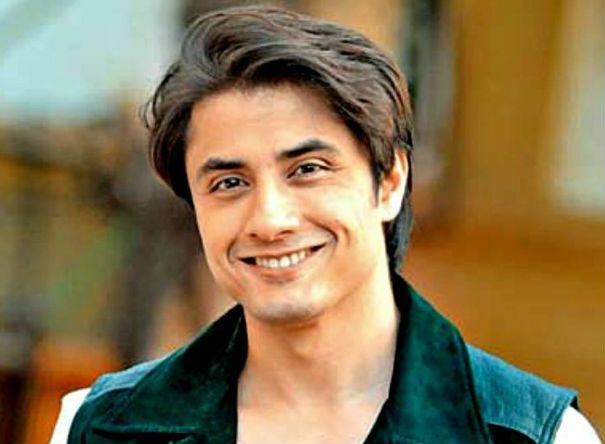 We have never distributed any film from Pakistan or from any other part of the world earlier; And are extremely selective with the films we handle for our friends in India, we are very excited to see what Ahsan Rahim the director and Ali Zafar as producer and actor have done with the film,” said Panesar. This comes after actress-model-singer Meesha Shafi took to Twitter to allege that Ali had sexually harassed her on more than one occasion, in April. This sparked Pakistan’s #MeToo moment. Ali has categorically denied all such claims, saying he will take the legal route to resolve the matter. Latest News and updates from Pakistani Showbiz Industry, dramas, movies, music and fashion. © 2019 - Pakistan Showbiz. All Rights Reserved.